The Lagos State Police Command has alerted residents on the new antics of criminals, particularly at night, before carrying out their nefarious activities. 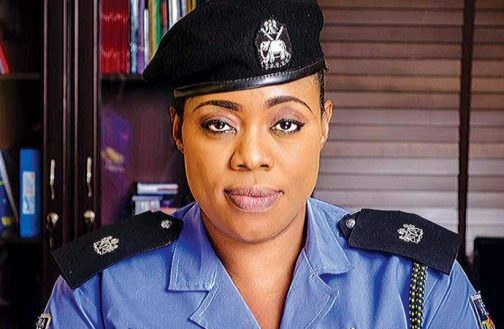 The command’s spokesperson, SP Dolapo Badmos, issued the alert in an interview on Sunday in Lagos, against the backdrop of recent robbery attacks on residents. She said the criminals, in an attempt to rob or kidnap their victims, now engaged in switching off running power generating sets or turned on tap water, to lure them out. Badmos, therefore, advised residents not to come out at night, if they noticed that taps within their compounds were opened or when their generators suddenly stopped working. “Residents should be careful when they discover that their generators stop working or notice water gushing out from their taps, at night. “They should watch carefully before going out. If they notice strange movements, they should call the nearest police station. “This is why residents are advised to know the telephone numbers of the Divisional Police Officers (DPOs) or station phone numbers close to them,’’ she said. Speaking to some residents in Ikorodu, Egbeda, Iyana-Ipaja, Agbado Oke-Odo and Ikeja areas of the state, they shared their experiences of how criminals used the tricks to attack their homes. Mr Tunji Ajayi, a victim and resident of Agbado/Oke-Odo LCDA, who narrated his experience, said the criminals made away with his generator set, after switching it off. “When they could not gain access into my house, they became frustrated, they then decided to take away my generator. “I left my generator on at night as usual, but at about 2 a.m, the generator suddenly went off. “I took my time to observe what must have happened through the window before stepping out, but suddenly, I heard footsteps, so I decided to stay back. “When the criminals realised that I was not coming out immediately, they decided to take away my generator,’’ he said. Another victim, Mrs Adenike Okubanjo, a resident of Egbeda area, said she left her generator on with the intention of putting it off at about 10 p.m, but slept off. “I later woke up at midnight after the generator had gone off, although I knew there was enough fuel to last till the morning. “Even at that, I decided not to go out until morning, but only to be woken by a neighbor and informed that some armed robbers came into the compound. “The neighbour told me how the robbers followed him into his house when he came out to check his generator, after it suddenly went off,’’ she said. A resident of Iyana-Ipaja, who simply identified himself as Michael, also disclosed how he almost fell victim to the criminals’ tricks, but God saved him. “Usually, I put on my generator set from 7.30 p.m to 11 p.m. on daily basis. I guess, these suspected criminals had been watching me. “On this particular day, I was about going to put it off, when I heard footsteps. “I decided to stay back, after which, the hoodlums started threatening me to open the door, but I refused and started to scream and they fled,’’ he said. For Mr Pius Bamidele, a school teacher in Ikorodu, he said the criminals, after taking some of his valuables, also beat him up for not having enough cash on him. Bamidele said the hoodlums gained entrance into his home after opening the tap in his compound. “When I heard water coming out of the tap at about 1.30a.m, I wondered who could be fetching water and would have left the tap open at that time of the day. “As soon as I came out, one the robbers pointed a gun at me and walked me into my apartment, where they made away with some of my property,’’ he added.